We have established ourselves as a renowned manufacturer, supplier, importer and exporter of a broad spectrum of Fine Pitch Soldering. All our offered products are manufactured employing latest machines and advanced technology following standards & norms of industry. These products are applauded for their fine finishing, reliability and outstanding performance. Furthermore, we offer our range in variegated specifications. With our vast knowledge in this domain, we have been engaged in offering Soldering solution to our clients. 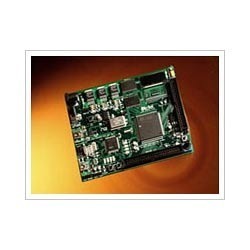 We are specialized in designing, prototyping and manufacturing fine pitch PCB assemblies &Soldering. For our esteemed clients, we have come up with fine pitch components such as Flip-chips, Chip scale packages (CSPs), ball grid arrays, micro BGA and TQFPs. These are stringently checked to assure their compliance with the industry standards and are offered to clients at market leading prices. In process Quality control and inspection at working stages namely Stencil painting, chip mounting, reflow soldering. Validation of process Data of various parameters required in fabrication Of PCBS, Stencils and setting of temperatures at various zones in reflow Profile. Looking for “Fine Pitch Soldering”?